Javier Segovia's a digital artist from Spain. Guy loves him some industrial concept design. 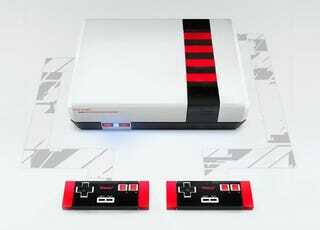 This is his vision of an updated, redesigned Nintendo Entertainment System. He calls it reNESED. Not that Nintendo would ever bother releasing such a thing, but hey, if they did, it could look a lot worse than this simply pretty great design.